Thescorre’s College of Three Ravens has gotten a facelift for 2018! 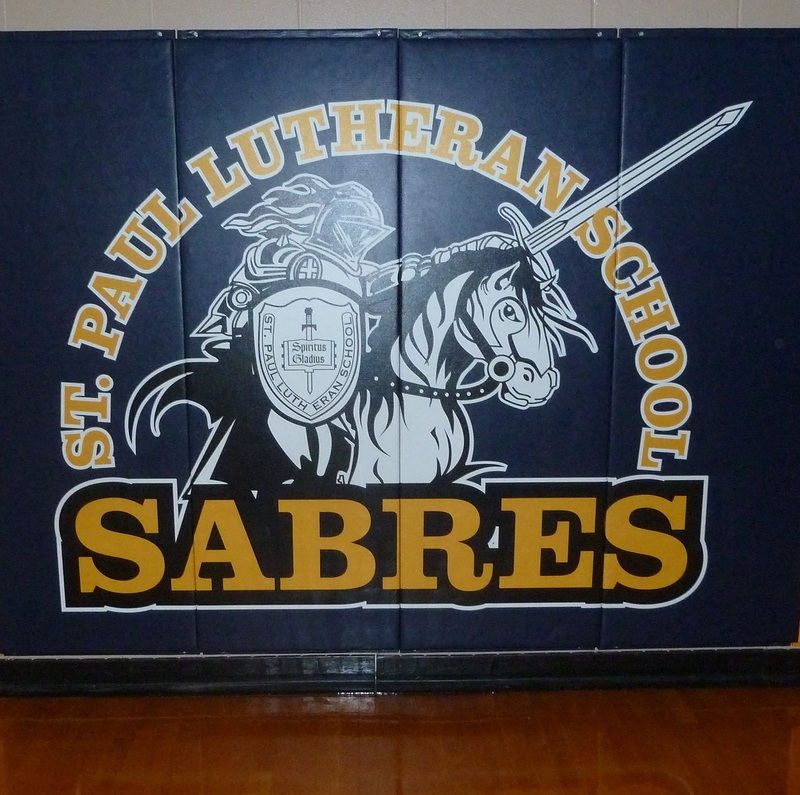 The Barony’s staple schola event (over 30 years old, formerly UWEKAT and UAKAT) will be held at a new location next month: St. Paul’s Lutheran School in Hilton, NY, just half an hour from downtown Rochester. The site includes a gymnasium for fencing and heavy weapons classes and sparring. Sinks, Gym, and No Stairs! The school just completed renovations this past summer and now all classrooms have ceiling-mounted projection systems. There is also a sink in each room. Previously, there were two larger classrooms. The renovations saw one room permanently split, resulting in an extra room which gives us private space for holding a third vigil. The remaining larger classroom will be dedicated to dance or other subjects requiring a little extra floor space. What does the new facility lack? Stairs!! The gym, a respectable-sized main hall, classrooms, scriptorium, and three vigil rooms are all on one level for complete ease of access. The Royalty room is even conveniently placed across the hall from the scribal room. The school includes three sets of restrooms spaced throughout the T-shaped site, with two sets offering diaper changing stations. The third set alongside the gym is adjacent to a pair of small, locker/changing rooms equipped with two adult-height shower stalls each. One shower in each Lords’ & Ladies’ conveniently has a fold-down shower seat and wand shower head. Off-street parking is extensive, boasting four separate parking lots totaling approximately 200+ spaces. SCA attendees will be using the larger west lot that fits 98 cars, as well as two other parking areas reserved for the convenience of event staff, vigil coordinators, and Royalty. That still leave us with some overflow in the more distant areas of the parishioners lot, should it be absolutely necessary. The main hall features 18 tables of eight, and its own exterior entrance apart from the one leading directly into the adjoining kitchen. Our lunch and feast cooks, Lady Ragna Feilan and Lady Lasairfhiona inghean Aindriasa, have been raving about the kitchen space just from seeing photos and are eager to fill many bellies with their delicious-sounding planned meals. Outside the main hall are large windows letting in sunlight near benches where gentles may sit and chat. There is even room for several merchants should anyone wish to set up a table to display their wares. There are one or two already signed up; contact the Autocrat if interested. Unfortunately for us, the church holds a small Saturday service in their 400-seat nave/chancel, which conflicts with our traditional Court time. However, the spacious gym with its movable bleachers will be ample room for our pageantry! The gym is also at the opposite end of the site, so SCAdians and parishioners will not disrupt each other. I’ve no idea what spectacle may be planned for the elevation of Gillian Llwelyn to the Laurel and elevations of Nest Verch Rys and Rioghnach ní Rose to the Pelican, but such will doubtless be a delight to witness. A well-attended C3R calligraphy class taught by Mistress Matilda in 2015. It would be neglectful of me to fail to mention the sprawling outdoor athletic fields, though snow-covered in February, are capable of simultaneously accommodating all martial activities including target archery at future events in warmer seasons. The site administrators have been exceedingly friendly and interested in our medieval activities. Let us hope we can build a mutually respectful relationship with the school and continue to have access to the site for years to come! Please consider braving the wintry temperatures and roads to come make this College of Three Ravens an extraordinarily enjoyable day of learning, socializing, eating, and plain chivalrous fun. The class list is still growing, but slots are filling fast. Contact Lady Nicole du Marais about teaching! A schedule should be posted within a few weeks. Rather than having a couple of marshals working all day, it is our hope to have numerous warranted marshals help for just an hour or two each, thus enabling everyone to participate in classes or fighting as they wish. If you are able to volunteer, please contact Sir Dominic McMorland (Micah Nelson) to assist with fighting or Baron Eric De LaBarre (Eric France) to assist with fencing. Visit the event Facebook group for latest class lists, other updates, or pre-registration info.